While I was in Toronto a few weeks ago for an educational event, I had the delight to spend many hours with a good friend from my seminary days. He turned out to be a fine guide to introducing an American to Toronto. One of the many places we stopped was a place of some religious curiosity that he’d apparently always wanted to look into but simply had never taken the time to do so. The place? The Zoroastrian Society of Ontario. During our visit to the structure that houses the Society (it looked like a converted stately home), we got to peer around the corner into the room that served as their fire temple. I only looked in for maybe a few seconds, but my first thought was, “What is a baptismal font doing up there?” As you can see from the iconographic image above, a vessel looking very much like a Christian infant baptismal font is at the center of their worship, but they don’t put water or babies in it. Instead, they burn fires there. 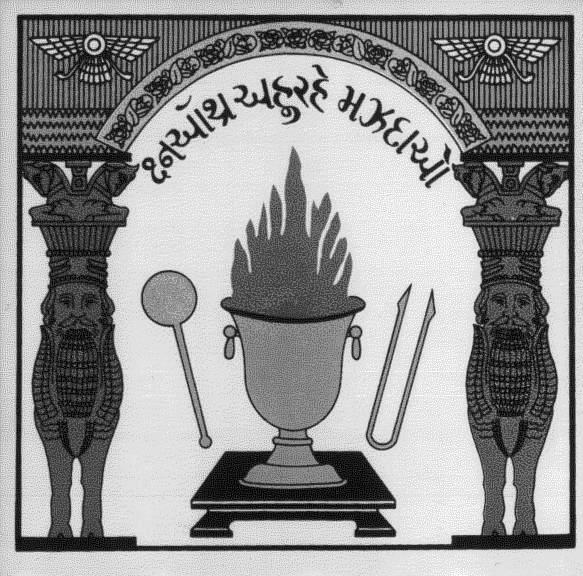 The ashes are used for anointing and initiation into the faith, as well as providing a sort of “succession” for the setting of new Zoroastrian fires. That is, certain sacred fires’ ashes are brought to new places for the lighting of new fires, thus connecting worshipers with fires purportedly set by Zoroaster himself. I was reminded again of this religious field trip this week on both Tuesday and Wednesday, as we celebrated (respectively) the Martyrs Acindynus, Pegasius, Aphthonius, Elpidophorus and Anempodistus of Persia and the Martyrs Acepsimas, Joseph and Aethalas. Both sets of martyrs were killed in Persia (including modern day Iran), which in the ancient world was dominated by Zoroastrianism. (Most of us today associate Iran with Islam, but it was Zoroastrian prior to the middle of the 7th century.) In singing the hymns for these martyrs, the image of the fire temple quite suddenly came back to me, because the hymns for ancient Persian martyrs almost always include some reference to fire. The Doxa from the stichera for the first set of martyrs includes this passage: For as servants of the spiritual Sun and destroyers of the Persian doctrines, they guided to piety those who served the visible sun and worshipped the fire. Zoroastrianism makes it into the apolytikion for the Nativity of Christ, as well: Thy Nativity, O Christ our God, hath shone the light of knowledge to the world! For by it, those who worshipped the stars, were taught by a Star to adore Thee,the Sun of Righteousness, and to know Thee, the Orient from on High. O Lord, glory to Thee! It is likely that the religion of the Magi who came to worship the infant Christ was Zoroastrianism. Now, if you speak to a Zoroastrian—which itself is a difficult thing for most of us to manage, since there are perhaps no more than 150,000 to 200,000 of them in the whole world—he would likely protest that they absolutely do not worship fire, the sun, stars, etc. Instead, they regard these fires as serving to mediate for them the spirit of Ahura Mazda, who is their supreme, benevolent deity. That is, the fire functions similarly to the way that the Christian icon does, making accessible a presence which is beyond itself. Curiously enough, that is almost exactly the same thing most followers of other religious from the ancient world would say. The various statues and images to which pagans and others bowed down were not understood by them as having deity in themselves but rather as mediating deity to them in some fashion. The Christian, upon learning this, might rightly ask himself whether the Bible and all the Church Fathers (not to mention the writers of hymns about Persian martyrs) were getting it wrong all this time. Why, those people aren’t idolaters! They don’t actually think that fire or that statue is a god! When you think about it, who would? Surely a wood carver, a silversmith or a lighter of fires is not likely to think that he has produced deity. But he may well think that the work of his hands connects him with deity. So are the Jewish and Christian traditions wrong about these people? How is it that they say that these people worship fire, statues, etc.? To learn the answer to this question, we must understand exactly what idolatry is and how it relates to iconography. It also helps to know a little Greek. The Greek word for “image” is of course eikon, which we have Anglicized as icon. The word for “idol” is eidolon, and this word is the one that the Greek-speaking Jews who translated the Old Testament Septuagint (the Bible of the Apostles) used for the prohibition against “graven images” in Exodus. A Greek reader would read it instead as “graven idols” and would not think it was referring to icons. Therefore, when the ancient Jews and the Fathers looked at people like Zoroastrians or Hindus and saw them bowing down to fire or to statues, they accused them of idolatry. They accused them of worshiping fire or wood or stone. Is it because they didn’t know the real doctrines of those people? (Surely they must have asked!) No, it was because they were drawing a religious line in the sand and saying that there was no such thing as Ahura Mazda or Vishnu. Since those deities didn’t exist, then the honor paid to their images went no further than the image. The honor stopped in the fire or the statue, because Jews and Christians were claiming to know more about the reality in front of them than these followers of other religions did. Such an attitude strikes the modern “ecumenical” mind as, well, not terribly ecumenical. But if I really believe that I am worshiping the One True God, then how can I see all these other images as anything but idols? How can I see them as anything but depictions of empty, non-existent phantoms, or (worse yet) images to demons? The Fathers knew what they were talking about, because God enabled them to see the truth in front of them. They also had no qualms about stating it quite boldly, too, because they were in a battle for souls. We’re still in such a battle today, though we might well have to use different rhetorical strategies if we wish the Gospel to be heard. I did not, for instance, tell the young lady who kindly showed us around the Zoroastrian Society that she is an idolater. But if I had a relationship with her, it’s likely that the question of just what is actually real would eventually come up. There are many idolatries in our own day, images promising to mediate to us some promise of fulfillment, whether transcendent or solely material. But they are phantoms. And we have the God-man, Jesus the Christ, Whose earthy, warm reality drives away such darkness and fills the emptiness we all carry with us. Interestingly enough, Owen of Ochlophobist fame makes a compelling argument against movies on the basis that they are mere phantasms. An icon is a physical object which points to the Real, but a projected image is nothing but light. Our encounter with it is not “real” and so even a movie such as Ostrov (The Island) is one which leads to delusion. I still watch and enjoy movies, but it was an interesting argument. Perhaps one of these days I’ll get a little more radical with my praxis. With that logic, I’m not sure how music would fare. After all, it’s “just” sound waves, which are just as “real” as light. In any event, the icon only appears to you because of light. You certainly don’t see the wood and paint. You see how they refract and reflect light. I’m not sure the physics supports the metaphysics. Very informative! I was hoping to come to the event at St. George’s, but couldn’t make it. I hope you come to Ontario again sometime. This is somewhat unrelated, but I was wondering if you could point me to resources to study the difference between icons and idols. We come from a strict background in this regard (no images of Christ permitted) so it’s difficult for my wife and I to grasp this. They’re all from the same site, but they’re good! In the first volume, an anthology of essays, features a study by Angelika Berlejung of an ancient Mesopotamian ritual wherein a stone statue would be transferred from the stone cutter to a temple and “become” the god. The ritual features the “washing of the mouth” and a gradual disassociation from the stone-cutter. The result was something not unlike our Eucharist, where the object was considered to be both the god and the idol at the same time. But this underscores Fr. Andrew’s excellent point, that the difference between Christian iconism, and also the Christian Eucharist, and pagan idolatry is that there is substance behind it, which is something, though, that we must take on faith. Thank you for this, Father Andrew. It is one thing to know and understand for oneself what we do and why; it is quite another thing to be able to develop and appreciation for the consciousness of others and see how best to convey this to them. My background was one where images were simply part of church life, often as devotional items but usually not. Growing up, I simply accepted that this must not be what the apparent condemnations of idols in Scripture were talking about, so it is often very difficult for me to understand those who object to them or who struggle with them – not the doctrinal arguments (for those are easily revealed to be nonsense) but I refer more to the gut feeling that it is wrong that some people genuinely experience. Does that make sense? Now that I am Orthodox, having read the decree of the 7th Ecumenical Council, and the treatises of St John Damascene and St Theodore the Studite, (which are both part of the SVS Popular Patristics series and which BD may find useful), I now understand more fully and the logic really is watertight. Anyway, I really wanted to thank you for giving me, in addition to an education in Zoroastrianism, something of a “way in” when asked about this by people for whom the problem is more one of feeling that doctrine. Thank you both for the resources. I requested the two books Michael mentioned to be purchased by our library system and will read them once they’re made available. I read the articles and found them helpful. My wife and I are in the process of listening to Fr Andrew’s podcast on Orthodoxy and Heterodoxy and are enjoying them. 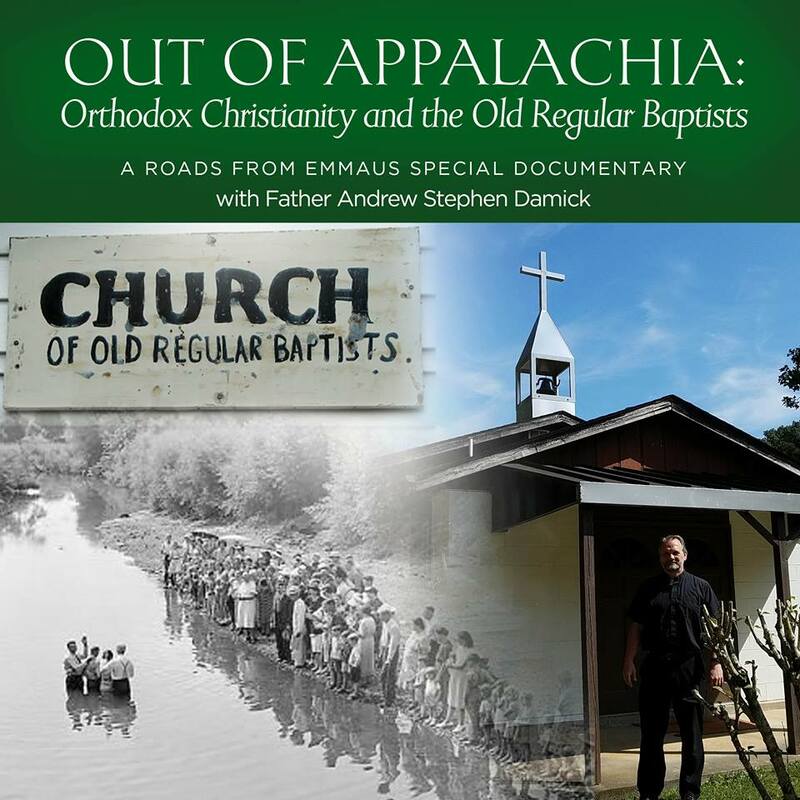 Do you know of anything that is more in depth that covers the differences between Orthodoxy and the Reformed faith? There’s nothing I’m aware of, no, though there are a few articles floating around. A friend of mine, Fr. Stephen De Young (a former Dutch Reformed pastor), is working on a book on an Orthodox response to Calvinism, however. He has pretty in-depth knowledge, too. The Fathers of the 7th Council say that is the image, not the material, that bears veneration. Owen’s line of reasoning is contrary to Orthodox dogma. In Och’s defense, I think he was trying to formulate exactly why it is so wrong to have a projector in an Orthodox church. We all know they shouldn’t be there, but it’s hard to put the reasons into words. You’ll have to let me know when his work on Calvinism comes out. I’d especially enjoy reading from someone coming out of the Dutch Reformed tradition. Thanks again for the resources. A deacon in my parish was discussing practical reasons why some changes to Typika might be appropriate. For instance, he said, the Armenians have all sorts of hymns and anathemae concerning Zoroastrians. Why have them when there aren’t any Zoroastrians around anymore. He was surprised to find out that our long-time neighbor across the hall is a Zoroastrian. “Oh, maybe they still come in handy then”. Interestingly, she said they very much do not like the Greeks because they were previously “People of the Book”, but Alexander burned all their holy books making them unable to prove it. Of course, that’s not Orthodoxy, but… (I believe Zoroastrians gained ‘people of the book’ status under at least some forms of Islam or regimes of Islamic leaders). In my old age I am reading Arnobius of Sicca (circa AD 300 ) about the pagan religions of his time. I downloaded it to my Kobo ereader or I would never have found it.. He is certainly an interesting man. The idols he describes are as you say representations. often just empty shells with plates of gold and ivory on the surface. Often coloured to look like flesh and blood. As he says the ‘gods’ they represent are not real either. I’ve actually never even heard of the Kobo before. So I can’t comment on how you might get the e-book through that source. If it can run the Kindle app, then you can get the book that way. Otherwise, you may need to contact Conciliar Press to see what can be done.